Born into a German-Jewish family, she was forced to leave Germany in 1933 and lived in Paris for the next eight years, working for a number of Jewish refugee organisations. In 1941 she immigrated to the United States and soon became part of a lively intellectual circle in New York. She held a number of academic positions at various American universities until her death in 1975. She is best known for two works that had a major impact both within and outside the academic community. The first, The Origins of Totalitarianism, published in 1951, was a study of the Nazi and Stalinist regimes that generated a wide-ranging debate on the nature and historical antecedents of the totalitarian phenomenon. The second, The Human Condition, published in 1958, was an original philosophical study that investigated the fundamental categories of the vita activa (labor, work, action). In addition to these two important works, Arendt published a number of influential essays on topics such as the nature of revolution, freedom, authority, tradition and the modern age. At the time of her death in 1975, she had completed the first two volumes of her last major philosophical work, The Life of the Mind, which examined the three fundamental faculties of the vita contemplativa (thinking, willing, judging). 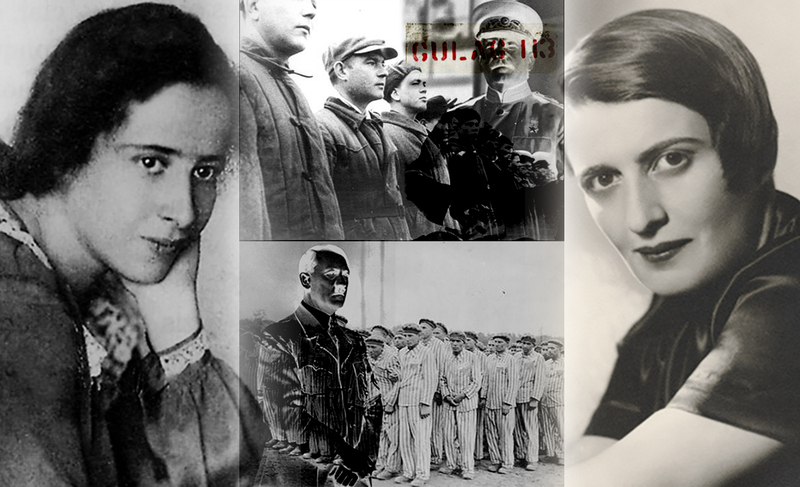 Ayn Rand born Alisa Zinov’yevna Rosenbaum; Mastermind Rational, (February 2 1905 – March 6, 1982) was an American novelist, philosopher, playwright, and screenwriter. She is known for her two best-selling novels, The Fountainhead and Atlas Shrugged, and for developing a philosophical system she called Objectivism. Born and educated in Russia, Rand moved to the United States in 1926. She had a play produced on Broadway in 1935–1936. After two earlier novels, she achieved fame with her 1943 novel, The Fountainhead. In the beginning, literary critics received Rand’s fiction with mixed reviews, and academia generally ignored or rejected her philosophy, often by those who never read her book. Although academic interest has increased in recent decades in a few places. On the other hand, Rand’s books continue to be widely sold and read, with over 29 million copies sold as of 2013, the bible being one of the only books to be more read. In Russia, Rand had supported republican ideals. She was twelve at the time of the February Revolution of 1917, during which she favored Alexander Kerensky over Tsar Nicholas II. With the subsequent October Revolution and the rule of the Bolsheviks under Vladimir Lenin disrupted the comfortable life the family had previously enjoyed. Her father’s business was confiscated and the family displaced. They fled to the Crimean Peninsula, which was initially under control of the White Army during the Russian Civil War. She later recalled that, while in high school, she determined that she was an atheist and that she valued reason above any other human virtue. Rand advocated reason as the only means of acquiring knowledge and rejected faith and religion. She supported rational and ethical egoism, and rejected altruism. In politics, she condemned the initiation of force as immoral and opposed collectivism and statism as well as anarchism, instead supporting laissez-faire capitalism, which she defined as the system based on recognizing individual rights. In art, Rand promoted romantic realism. She was sharply critical of most philosophers and philosophical traditions known to her. Masterminds do not feel bound by established rules and procedures, and traditional authority does not impress them, nor do slogans or catchwords. Only ideas that make sense to them are adopted; those that don’t, aren’t, no matter who thought of them. Remember, their aim is always maximum efficiency. In their careers, Masterminds usually rise to positions of responsibility, for they work long and hard and are dedicated in their pursuit of goals, sparing neither their own time and effort nor that of their colleagues and employees. Problem-solving is highly stimulating to Masterminds, who love responding to tangled systems that require careful sorting out. Rand’s philosophy is based on rational self-interest and self-responsibility – the idea that no person is any other person’s slave. Her philosophy are principled policies based on rational assessment: rationality, productiveness, honesty (in order to rationally make the best decisions we must be privy to the facts), integrity, independence, justice, and pride. Her political philosophy is in the classical liberal tradition, with that tradition’s emphasis upon individualism, the constitutional protection of individual rights to life, liberty, and property, and limited political and economic government. Hanna Arendt coined the phrase “the banality of evil” to describe Adolf Eichmann, and proffered that he was a bureaucrat. She raised the question of whether evil is radical or simply a function of thoughtlessness, a tendency of ordinary people to obey orders and conform to mass opinion without a critical evaluation of the consequences of their actions and inaction. This caused a considerable controversy and even animosity toward Arendt in the Jewish community. Her friend Gershom Scholem, a major scholar of Jewish mysticism, broke off relations with her. Arendt was criticized by many Jewish public figures, who charged her with coldness and lack of sympathy for the victims of the Holocaust. At the very least the methodology of the Milgram experiments have been largely discredited. Zimbardo’s work at Stanford might be a better example of ordinary people turned into sadistic monsters. Yes Milgram’s experiment had a great deal of problems. Ground breaking results (however flawed) are often to a degree misleading. But Arendt’s main point about Eichmann (and many bureaucrats) THEY ARE NOT SADISTIC MONSTERS. It is the results of the system that is evil, THE COGS are often just banal. Whatever. You might want to look up the definition of sui generis, however. “Whatever.”!! Thanks, you made my day. The assertion in the title is never explained. Two INTJs cannot be friends? Or is something else meant? Yes, to some degree, two Masterminds with similiar ideas would have difficultly being friends. Masterminds are natural contenders in ideas. Each prefering their own vocabulary and insights. I saw a lot of this being played out in graduate school. However, in the case of Rand and Arendt, there is an added factor of one being a “liberal” (Arendt) and other being a “libertarian” (Rand). Of course, they would not be happy with those labels, they did not like being put in a box by other people. Their political religions would make it difficult for them to see their common abhorence to self-interested political elites and the elite’s banal self-interested political-economic cogs.